Click image for more details on available implants. More women are seeking out a type of silicone breast implant called the gummy bear implant. It’s not a sweet treat, but the leading-edge of breast augmentation, and in Oklahoma Dr. Tim Love is the leading expert on this type of implant. This solid silicone gel is the latest advancement in breast augmentation: the Cohesive Gel Implant that looks and feels more like natural breasts. It’s known as the “gummy bear” implant because of its solid, gummy-like texture and contains no liquid. If you are considering getting silicone implants, having a silent rupture might be one of your concerns. Traditional silicone breast implants of the past have always had the potential of an undetected rupture unless picked up on a mammogram, ultrasound, or MRI. 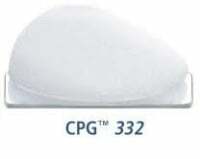 A solid silicone gel breast implant is a solution that provides zero leakage, giving you greater peace of mind! Dr. Love pioneered the “gummy bear” implant in OKC and the U.S.
Dr. Love was one of only 20 U.S. plastic surgeons chosen to participate in the FDA-sanctioned Gummy Bear Breast Implant studies. His participation in clinical research studies of Cohesive Gel implants by both major breast implant manufacturers (Allergan and Mentor) provided the FDA with vital data which allowed the FDA to confirm the safe and unique benefits of Cohesive Gel breast implants. Dr. Love’s expertise in breast enhancement surgery were also recognized by his previous sponsorship of 4 other groundbreaking studies submitted to the FDA. How do I know Dr. Tim R. Love is the right gummy bear implant surgeon for me? Leader in his field: Dr. Love was one of only 20 U.S. surgeons selected to pioneer shaped implants in the nation, and operated on the first U.S. patient in the historical “CORE” gel implant study. 30+ years of cosmetic surgery experience in Oklahoma. Countless successful breast procedures, resulting in hundreds of happy clients – read their reviews. A comfortable and convenient OKC location. Voted the best plastic surgeon in Oklahoma City in multiple readers’ choice contests. Breast augmentation utilizing traditional saline or silicone implants have provided women with beautiful results for many years. However, the latest advancement in augmentation – the Cohesive Gel Implant – may be the perfect option for you. This solid silicone gel implant is known as a “gummy bear” implant because of its gummy like texture and makeup which contains no liquid. Those concerned about implant ruptures can choose gummy bear implants, as they will not leak, while providing excellent results. In fact, Dr. Tim Love was chosen as one of the few doctors to participate in the early development of gummy bear implants, and you will benefit from his experience. See if gummy bear implants are right for you! The diagnosis and treatment of breast cancer are difficult experiences that require time and healing. As part of the healing process, many women are exploring the option of breast reconstruction. Because emotional healing can be as important as physical, breast reconstruction can play a role in helping a woman look and feel more like herself after undergoing a mastectomy. Breast reconstruction can recreate the natural contour of the breast utilizing a prosthetic or the patients own natural tissue. Depending on each patient’s unique circumstances, a reconstruction may be possible on the same date as the mastectomy, and many women are choosing this option. In men, enlarged breast tissue can occur for a number of reasons, including hormonal changes, heredity or side effects from certain drugs. This condition can make men feel self-conscious and embarrassed. Gynecomastia addresses excess localized fat and excess glandular tissue, which may be present in one or both breasts. It reshapes the area, helping men feel more confident about their appearance. If you are a man bothered by the appearance of your chest due to enlarged breast tissue, see Dr. Love to see if you are a candidate for this cosmetic procedure! Fat grafting utilizes a patient’s own fat cells to restore size and shapeliness to the breast. It can be used with breast augmentation or reconstruction to improve or “fine tune” the outcome, and it can also play a role in improving natural issues such as tuberous breast deformity. Plus, as a bonus, the patient may benefit from the effects of liposuction as the fatty tissue is removed from other parts of the body such as the tummy or hips. Ask Dr. Love if fat grafting might play a role in your overall treatment! A breast lift – or mastopexy – can help when the breasts have lost shape or volume and the skin has lost elasticity due to pregnancy, breastfeeding, weight change, aging or heredity. When a woman feels she has a “drooping” appearance or when she feels asymmetrical, a breast lift provides the structure and support needed to reshape and revitalize her appearance. If this sounds like you, consult Dr. Tim Love to see if you are a candidate for this very popular, confidence-restoring procedure!